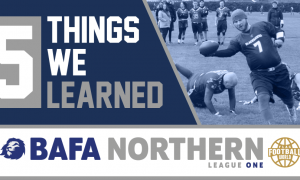 BAFA Division One’s first week of action saw a number of squads finally show us what they’re capable of! Here are our top 10! We have no movement in our top 3 picks, as the London Smoke lived up to the hype with two dominating displays, with an average margin of victory at 66-9. Yikes. Should we just promote them already? They also won King Bowl in style this past weekend, and look unstoppable as things stand. Carnegie will be feeling themselves after week one, as they destroyed both the Glasgow Killer Bees and Paisley Spartans; two teams tipped to compete with them prior to the season. As QB Neil Arnold picked up 100th win, Carnegie looked comfortable. They’re going to be pretty much unchallenged until the post-season rolls around. The Honey Badgers looked like the team of old as they sit pretty at the top of the MEC East. Their fifty-burger over the Roosters was the highlight of their opening week of action as they put their stamp on the season. We rated the Trojans coming into this year, but they’ve got to be delighted with their first two wins of the season. Defeating the much fancied Plymouth Buccaneers will surely send a warning shot to the other teams in their division. 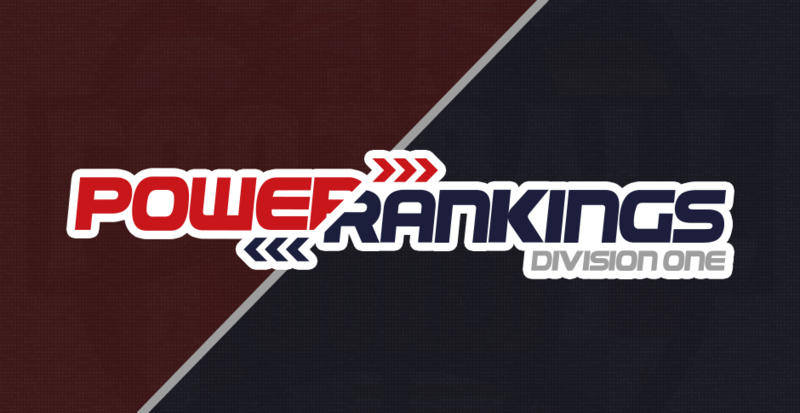 We can’t put them up much higher, as they’re likely to meet more resistance than the teams above them in our rankings, but they’ve set the tone for the season in a tough South West Division. The Knights move up after going 2-0 in week one, in large part thanks to the pack chasing them looking out of sorts at times. The Knights had a squeaky one score win over the Bears, but they’ve got a chance to pick up even more wins as the season progresses in a division with a fair number of rookie squads. They’ve got the DNA of a team that you don’t like to face – short, shifty and well drilled. They know they can beat the Honey Badgers, and we can’t wait for that game. 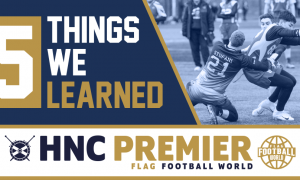 The Buccaneers started life in the BAFA leagues with two comfortable victories. 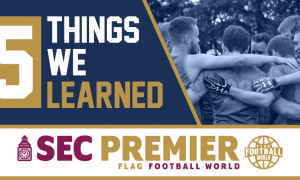 Their win over the Oldham Owls in particular caught our eye, and the Buccaneers debut in our power rankings at number 7 this week. They could climb with a victory over the Revolution, but it’ll be a tough ask. The Huntsmen impressed in the opening week of action as they went perfect against Titans Black and Rugby Raccoons. They’ve got experience in their midst with Neil Wymer at the helm, and this could help them navigate tricky waters. They have a date against the Titans White this weekend in order to see who is the early favourite to capture the Mid South Division. The Paisley Spartans picked up their first ever win this past weekend as they put in a comprehensive showing against the Aberdeen Silvercats. The final score somewhat flatters the Aberdeen development side, as the Spartans were effectively out of sight by half time. They look much improved from last season, and did their damage without Roberto Cann, as Jon Keys picked up the slack. They look more polished and confident than the rookie sides and the Sabres in the HNC. The second playoff spot could be theirs to lose.